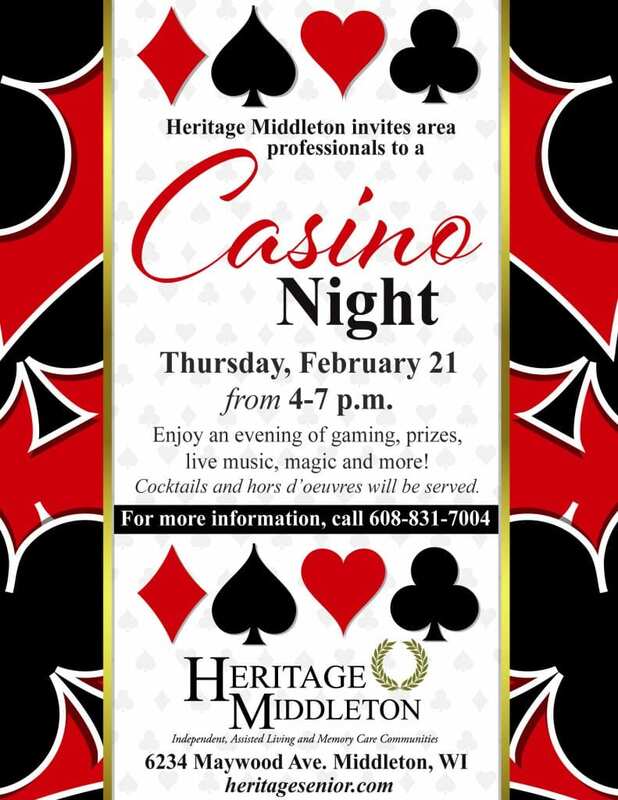 Heritage Middleton invites area professionals to a casino night on February 21. Enjoy an evening of gaming, prizes and live music. Plus enjoy a close-up magic show and more. Cocktails and hors d’oeuvres will be served. For more information, call 608-831-7004.